Almost everyone who works in front-end development has been in need of a way to display images. Vue.js makes everything easier and so the members of the community by creating plugins to make implementing features a breeze. 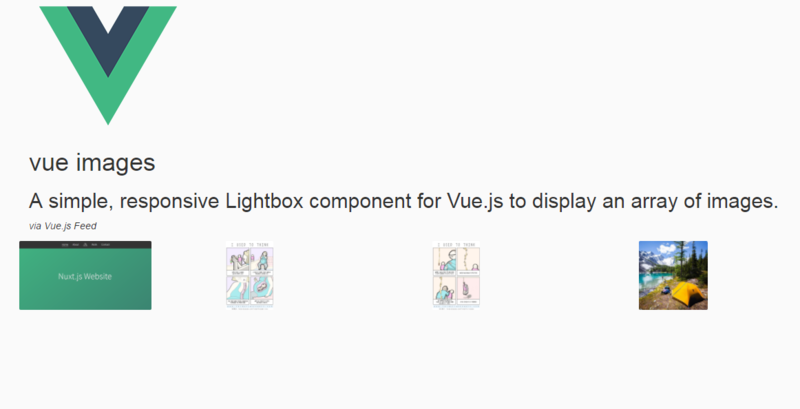 The moment you find your self in need of displaying multiple images in a Vue app, look for vue-images. 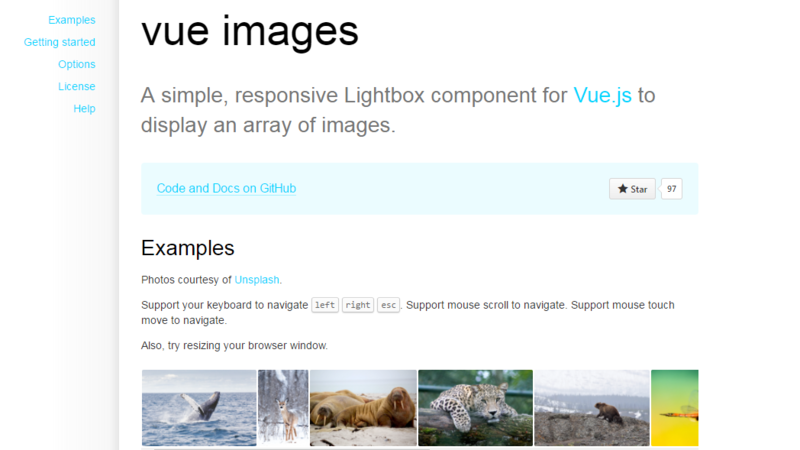 A simple, responsive Lightbox component for Vue.js to display an array of images. showimagecount bool true Optionally display image index, e.g., "3 of 20"
Code and Documentantion are available on GitHub.